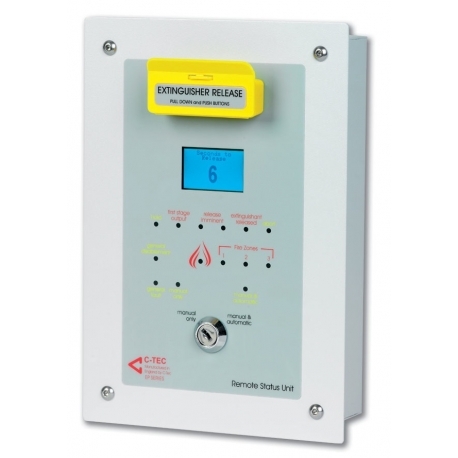 Designed to connect to the RS485 terminals on an EP203 Automatic Extinguisher Panel to provide remote system status indication via a 128 x 64 pixel LCD status display. 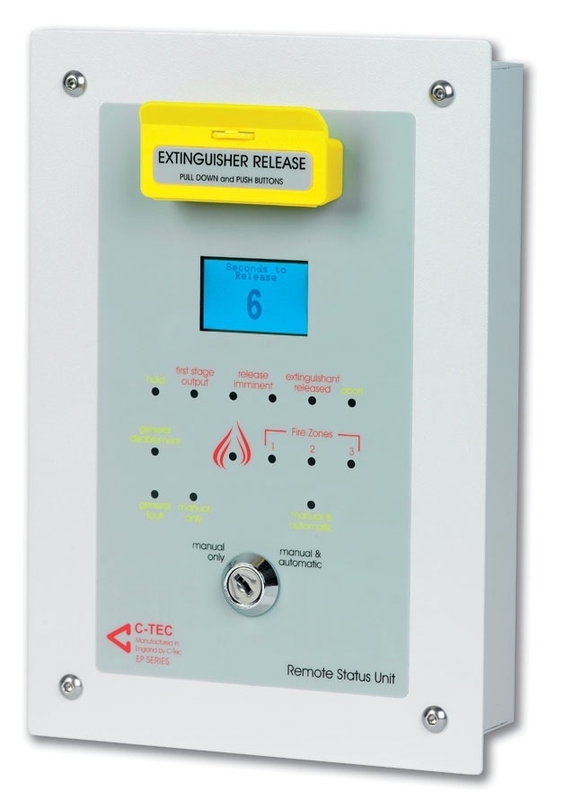 Also includes a pull-down manual release button, a mode (auto/manual) keyswitch and a wide range of system status indicators. Three monitored input connections (Hold, Abort and Mode). Max. 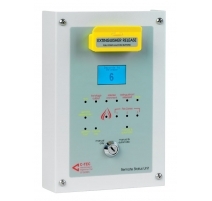 8 remote status units per EP203 panel. 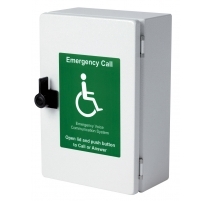 Surface remote status units (EP210S) and weather proof enclosures (BF359/1) also available. 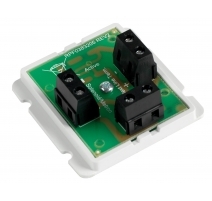 Power requirements 21-28VDC (200mA electronic fuse). Auxiliary inputs Three: (1) Hold; (2) Abort; (3) Mode. 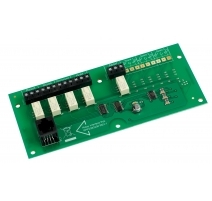 A 6k8 EOL resistor must be fitted across the terminals of the last device on each monitored input circuit. Unused circuits must have the 6k8 resistor fitted at the terminals. Indicators Gen. fire; Fire Zones (x3); Gen. disablement; Hold; 1st Stage Output; 2nd Stage Output; Release Imminent (x2); Exting. Released; Abort; Gen. Fault; Man. Only; Man/Auto. 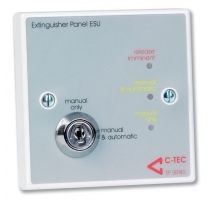 Controls Extinguishant release (housed in yellow casing); Operation keyswitch (Manual only or Manual & Auto). Product dimensions (mm) 175 W x 250 H x 70 D mm. 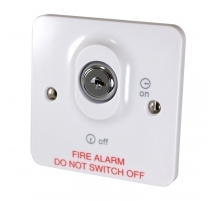 Hole required for flush mounting 156 W x 232 H x 51 D mm. 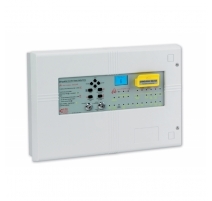 Network specification RS485; Max. 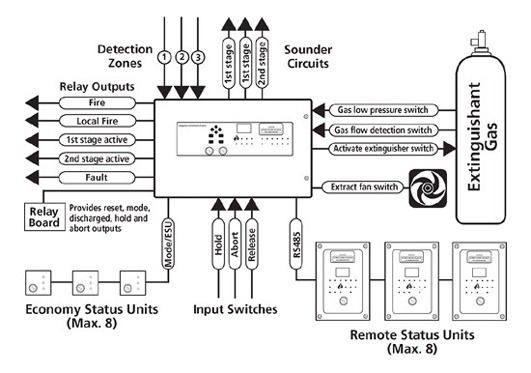 8 remote status units (any mix) per EP203; Four wire connection (2 power, 2 data); Daisy-chain wiring. Product dimensions: 175 W x 250 H x 53 D mm. Hole required for flush mounting 156 W x 232 H x 51 D mm.